Why not treat yourself to a new ride? Arrive in style with an incredibly affordable and advanced vehicle from our Honda dealership near Selma,CA. Right now,we’re offering an incredible chance for you to enhance your experience behind the wheel with the Vehicle Upgrade Program. 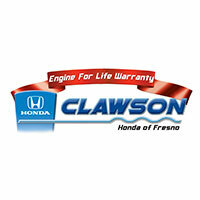 Come to Clawson Honda of Fresno today to take advantage of this outstanding offer! 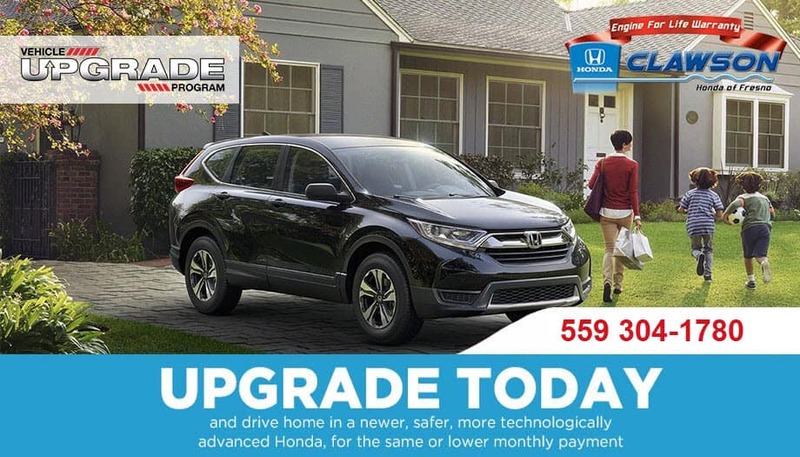 Many of our new Honda models qualify for the Vehicle Upgrade Program. If you’re in the market for a new commuter car, we have new Honda Civic sedan and coupe models for sale, or you can take a look at the new Honda Accord, too. For those who need to fit the whole family, buy or lease a Honda CR-V or Pilot. We even have the new Honda Ridgeline, back in stock after a short hiatus.Whichever model you’ve been eyeing, it may qualify for the Clawson Honda Vehicle Upgrade Program! Peruse our new Honda inventory before your visit our dealership, then come speak with our Honda finance and sales teams to learn more about this program. They’ll be ready to help you with any questions you may have, and will be there with you throughout the process! Get above market value for your trade-in. Lower fuel costs and increased miles per gallon. Reduced maintenance and repair costs. Brand new comfort and entertainment features. Increased safety and security technology.